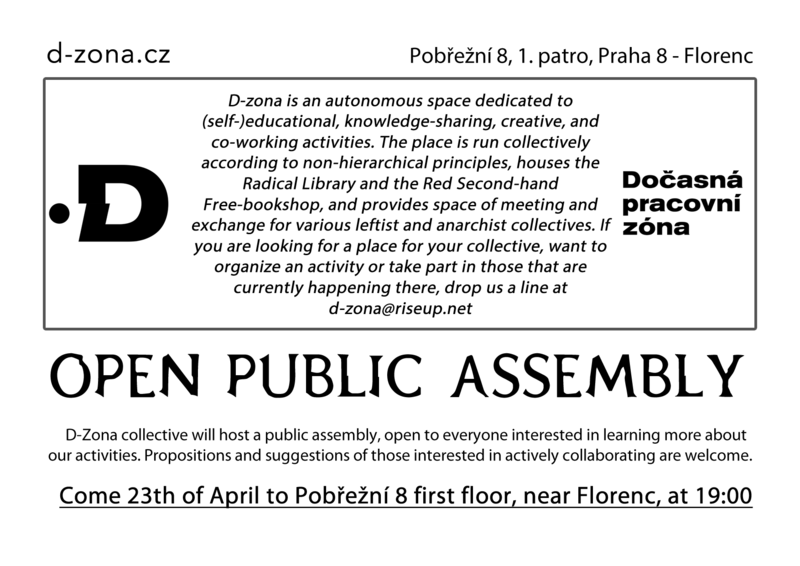 D-Zona collective will host a public assembly, open to everyone interested in learning more about our activities. Propositions and suggestions of those interested in actively collaborating are welcome. Come 23th of April to Pobřežní 8 first floor, near Florenc, at 19:00.